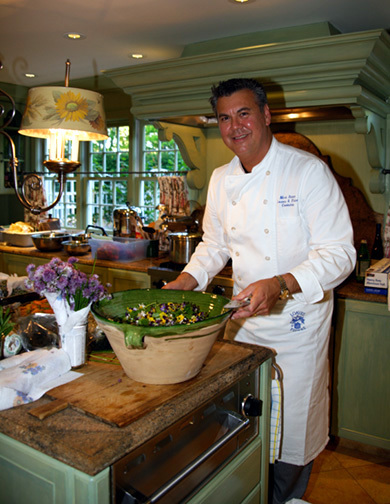 Global Palate is the brainchild of Chef Mark Sanne, the former Director of Culinary Education and Special Events at the renowned Loaves and Fishes Cookshop in historic Bridgehampton, NY. I taught most of the the ethnic cooking classes for the Loaves and Fishes Cookshop Culinary Education Program. I was asked by many of my students to help make some of the more difficult to find and unusual spices and spice blends used in my class recipes available and thus Global Palate was born. I grew up in an ethnically mixed home with a Japanese mother and a Norwegian-American father. My late mother was an excellent cook and taught all of her children her love and appreciation for fine food and interesting cuisines. As a result, all three of the children are in the food business. My sister is a baker and the owner of Bake Hampton, a wholesale baking company in Alexander, N.C. and my brother is an executive chef . I was fortunate enough to spend a year in high school in Brazil where I was exposed to a whole new realm of ethnic flavors and cuisines that were not available at that time in my hometown. This led to a life-long love of Afro-Brazilian, Latin and Asian foods. I return every year to Brazil to renew my love for the food, people and culture of that wonderful country. Recently , I have become facinated by the cuisines and cultures of the Middle East with its rich culinary traditions of spices and exotic flavors. I find the incredible aromas of a Moroccan Tagine favored with Ras al Hanout or of grilled lamb rubbed with my Baharat spice blend to be intoxicating and I'm sure you will too. I am fortunate that my private chef work and catering allow me to experiment and constantly try out many new and exciting spices, recipes and flavors . I hope you will try experimenting with my spices too and email me with any feedback for improvments or additions to the Global Palate line. I mix and pack my all natural spices and spice blends by hand in small batches thus ensuring the freshness and consistancy of quality that is so important in making Global Palate a success with chefs and home cooks alike. I use no artificial colorants or flavors and try to buy from sustainable growing resources.